J.M. COETZEE was the first author to win the Booker Prize twice (for Life and Times of Michael K and Disgrace), and he was awarded the Nobel Prize for Literature in 2003. His other novels include Diary of a Bad Year, Slow Man, Elizabeth Costello, Youth: Scenes from Provincial Life II, The Lives of Animals, Boyhood: Scenes from Provincial Life, The Master of Petersburg, Age of Iron, Foe, Waiting for the Barbarians, In the Heart of the Country and Dusklands. He is also the author of four collections of essays: Inner Workings: Essays 2000-2005, Stranger Shores: Essays 1986-1999, Giving Offense: Essays on Censorship and Doubling the Point: Essays and Interviews. 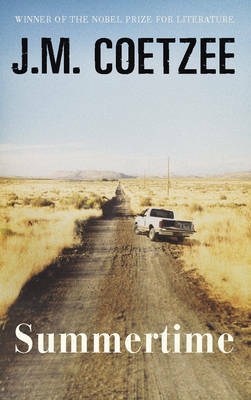 His most recent novel, Summertime (Harvill Secker/Penguin Group USA, 2009), was shortlisted for the 2009 Man Booker Prize for Fiction. Have you travelled to many other Asian cities or countries? I have travelled in Japan, and also in the Middle East. What do you think of literary festivals? Do you think they are necessary in order to promote reading and writing, and also to generate publicity for books? Literary festivals do much to raise the public profile of writers. They are certainly a godsend to the publicity arm of publishers. You are a Visiting Professor of Humanities for the Creative Writing Programme (PhD in Creative Writing) at the University of Adelaide. Have you mentored any students in their writing, and if so, what did it involve (i.e., what was the process) and how was the experience? Would you encourage more would-be writers to seek mentors? For inexperienced writers, and even for some experienced writers, sympathetic critical commentary on their work can be very helpful. In the old days one might have hoped that a publishers’ editor, or a literary agent, might have offered such commentary, but in the modern industry that no longer holds. What is your writing process like? Do you have a routine, a specific area to work at or can you work anywhere, in a new place or even when you’re travelling? You have been living in Australia for about seven years now after having relocated from South Africa in 2002. Does place matter or have any kind of influence on you as an author when it comes to choosing a setting or subject matter for your novels? Onno Oerlemans’s Romanticism and the Materiality of Nature (University of Toronto Press, 2002). John Coetzee is dead—but only in his latest novel, another fictional memoir in the third person following Boyhood and Youth. Janet Tay reviews Summertime. In Summertime, J.M. Coetzee has a young English biographer working on a book about the late writer, John Coetzee, focusing on the years between 1972 and 1977 when Coetzee, in his thirties, was living in a run-down cottage in the suburbs of Cape Town with his widowed father. To facilitate his research, the biographer conducts interviews with five women who seemed important to Coetzee based on his references to them in the notebooks, which were regarded by the biographer as “clues” to follow up on: a married woman with whom Coetzee had an affair, his favourite cousin Margot, a Brazilian dancer whose daughter had English lessons with him, and former colleagues at the University of Cape Town. 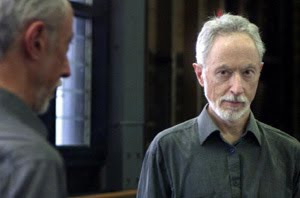 Coetzee is notorious for his reputation as a recluse and his dislike of interviews. An extremely private and quiet man—reflected even in his choice of writing his memoirs in fictional form and in the third person—it is perhaps a blessing for his readers that he would reveal any part of himself in his books at all, much less a third memoir. The John Coetzee portrayed in his memoirs are, for the most part, self-deprecating. Naturally this may seem odd—a prolific writer and English professor who has won the Nobel and the Booker twice, but who appears to think very little of himself (“The day of the great writer is gone forever, he would say”)—but nevertheless illustrates the honesty with which Coetzee writes and thinks. Readers who enjoyed Coetzee’s less experimental styles in his earlier novels such as Disgrace and The Life and Times of Michael K as opposed to the three-sectioned pages of Diary of a Bad Year will once again find themselves confronting a rather fragmentary account of John Coetzee’s life; the book is a compilation of his notebooks (in diary form) and a series of interviews that sometimes make reference to Coetzee’s other novels. The book’s main appeal is no doubt the further revelations by Coetzee of his younger self for readers who are perpetually curious about the enigmatic author. As the biographer in Summertime chooses to read between the lines in John’s notebooks to discover what or who mattered most to him, one needs only to read Coetzee’s novels to find the man who spreads himself only on the pages of his books.